Screening interview questions (you can prepare great answers for them in advance). Behavioral interview questions (you can prepare brilliant answers for them in advance, regardless of your education or working experience). Technical interview questions (whether you will master them depends on your knowledge of the employment field (think IT, project management, nursing, marketing, design, or other)). Psychometry (personality tests, IQ tests, and other forms of testing – you can not prepare for them in advance, but you will pass them, unless you are unlucky to suffer a mental disorder, or simply not ready for he role). Making a great impression on your interviewers, and winning them over (you can learn how to do that, how to make a great impression on these people). Now, you will not necessarily have to master all five areas-it depends on the job you try to get. 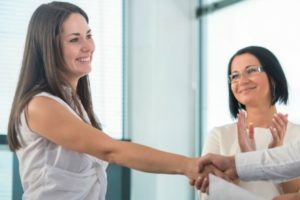 For a future waitress, great answers to screening interview questions and an ability to win the interviewers over will suffice to succeed in an interview. To get a job of a supervisor, or a marketing trainee, you will need to master nr. 1., 2., and 5., from my list. And if you dreamed of, let’s say, getting a project manager job at Google, you will have to master all five items from the list, and you will need some luck as well. Wait a moment Matthew! Doesn’t the recruitment differ from company to company, position to position, country to country? It does differ – but it is only a question of a form. It doesn’t matter if they interview you in a group or alone, over the phone, online, or face to face, one on one, or in front of a panel, in an agency, in a company, or informally in a restaurant. And it doesn’t matter whether you need to pass a single interview, or five of them, to finally sign a new job contract. In all those settings and scenarios, you will deal with nothing but screening, behavioral, and technical questions, some tests (psychometry), and a goal of winning your interviewers over. While the technical questions will differ from one job to another, the screening and behavioral questions will always be similar. I bet you do not have much time to prepare for your interview. You are already browsing InterviewPenguin.com, one of the leading players in careers and job interviews niche, the website I established back in 2011. You are on a good track! Honestly, if you have enough time, know how to find information and work with them, and if you can tell a good interview answer from a poor one (which is not easy), you can find online everything you need to master screening and behavioral questions, and the art of winning the hearts of your interviewers. Two or three days of quality research, filtering the information, and learning, will do the trick. But if you do not have time, or aren’t sure how to tell a good answer from a bad one, or simply prefer someone with years of recruiting and interviewing experience to spoon-feed you, you may consider purchasing my Interview Success Package. In less than two hours, you will learn brilliant answers to fifteen most common screening interview questions, and fifteen most common behavioral interview questions, and you will learn how to make a great impression on your interviewers, and win them over. Actually, it is the most you can do during the last few days (or hours) before the start of your interview. And you can not prepare for the personality testing in advance (but you will pass the tests, unless you are unlucky to suffer from a mental disorder, or simply not in a right condition to have the job). 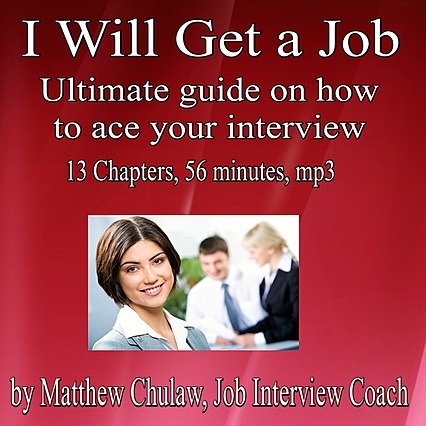 1. eBook, Brilliant Answers to Fifteen Most Common Screening Interview Questions. 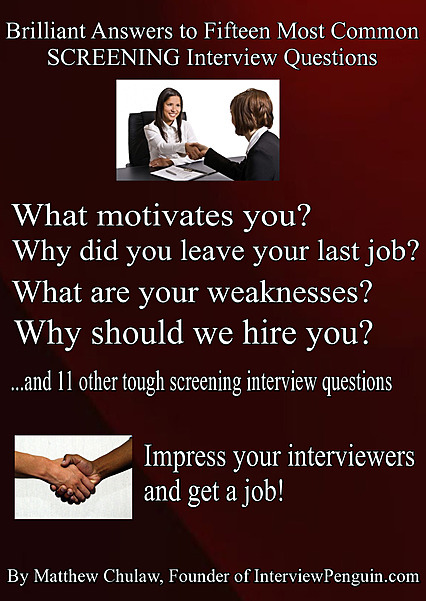 – Each interview process starts with a screening interview. Doesn’t matter if they interview you over the phone, online, in a group, in front of a panel, or one on one. – You will always have to deal with some screening questions, including “Why should we hire you?“, “What are your weaknesses?“, “Why did you leave your last job?“, “What motivates you?” etc. – In this eBook you will find an analysis of 15 most common screening interview questions, and multiple brilliant answers to each question from the list (answers for people with, and without working experience). – Impress the interviewers with your answers, and ensure you will pass the screening interview. – the eBook is 18 pages long, and you can see a sample from it below the description of the other two parts of the Interview Success Package. 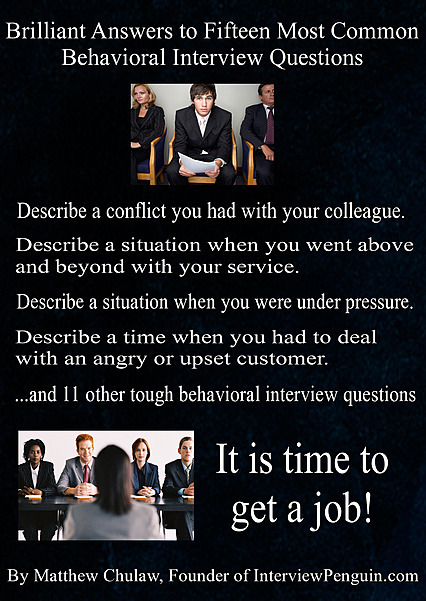 – Interviewers will ask you several behavioral questions, such as “Describe a conflict you had with your colleague.”, “Describe a time when you struggled with motivation in job.“, “Describe the biggest failure of your professional career.”, etc. – Inquiring about your behavior in work-related situations, the HR managers try to understand your motivation, your attitude to work, and your way of thinking. – In this eBook, the second part of Interview Success Package, you will find an analysis of, and brilliant answers to, fifteen most common behavioral questions (including answers for people who apply for their first job). – the eBook is 20 pages long, and you can see a sample from it below the description of the final part of the Interview Success Package. 3. Audio Recording, I Will Get a Job! – 56 minutes long, mp3, instant download. – Success in an interview does not depend only on your answers to the questions of the hiring managers. – Learn what else matters in an interview, how to convince them that you are a perfect candidate for the job, and how to win them over. – Winning interview strategies from the recording will help you in screening, behavioral, and also in the final interview with the employer. All you need to succeed in your interview, for less than $20! A single lesson with a professional interview coach would cost you 150 dollars, or more. And there is no chance you would cover screening, behavioral, and final interview in a single session with a coach. You would need at least three sessions. With the Interview Success Package, you do not have to pay hundreds of dollars to get ready for an interview. You can access the information right now, get ready for each part of the interview process, and get the job you want to have. All of that for a single payment of $19.77 (special discount for visitors of InterviewPenguin.com website). No hidden fees, no renewals, nothing. Just one payment of $19.77, with a risk-free sixty days money back guarantee. You can pay with PayPal, or credit/debit card. 1. Describe a situation when you were under pressure in work. Hint: Interviewers want to hear how you reacted to the pressure, if you managed to prioritize your tasks, and how did the pressure you felt affected you in your daily job. You will most likely face stressful situations and deadlines in your new job, so they want to see if you are ready to face these challenges. Ensure them that you understand the job description, and that you count with experiencing pressure. Try to show them, on a situation from the past, that you are used to experiencing pressure and do not panic, that you know how to prioritize your work. If it is your fist application, tell them what you would do in a stressful situation. – I experienced a constant pressure in my last job in sales, as we had to reach sales targets each month, and the managers were very strict about that. It was especially stressful when you had just ten days left, and you knew you were still missing fifty or sixty percent of the target sales volume. But I tried to keep a pragmatic approach, doing the job as good as I could. I did not let the pressure to get the better of me, because it would result in pushing too much, or in lying to the customers, just to close some deals. I think the pressure belongs to the workplace, and one has to count with that in their job. – Sometimes I do feel stressed at work, because I take my job seriously. I want to do my best, and I fell that every person walking down the school corridor is important. But I believe it is difficult for the teachers or the students to notice anything, and I try to never show it in front of them. Nevertheless, when I felt that the pressure could influence the rationality of my decisions, I rather did not make any decisions on a given day, and waited for a better moment. – I do not have any experience with feeling pressure in work, because this is my first job application. But I understand it belongs to the workplace, as the workload is heavy, and we have to meet deadlines, as our customers need the goods to continue their production. I count with experiencing pressure, and I believe to be ready to face that without getting affected physically or emotionally. Hint: Conflicts belong to every workplace, and we can not entirely avoid them. Interviewers try to understand your attitude to conflict, if you always blame the other person, or if you can admit your mistake. They also try to assess if you solve the conflicts constructively, or destructively, cutting your connections with the conflict party. And they consider if you prefer a proactive approach, trying to find the compromise and solve the conflict on your own, or if you always call the manager (or supervisor) to take care of the situation. You should show them that you try to avoid conflicts, staying honest and friendly to your colleagues. When it happened, however (and it has for sure happened in your life at least once), show them that you looked for a constructive solution, and that you tried your best to ensure that the conflict would not affect your work, or the work of your colleagues, once the waters settled again. – One of my former colleagues did not like me. She was arguing with me all time, for no real reasons. I was a bit upset, because I had no problem with her, and I did not want to have conflicts with my colleagues, or show bad emotions on the workplace. I invited her for a coffee one day, and I apologized for my behavior, though there wasn’t much I should apologize for. But our relationship got better, and she stopped arguing with me all time. I believe that sometimes we have to humiliate ourselves, admitting the mistakes, even if we did not really make any mistakes. Sometimes it is the only way to solve a conflict with another person. 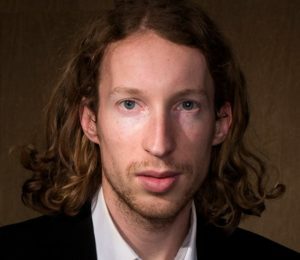 – The biggest conflict I had in my last job was with a colleague from the same working group. They had a different opinion on the methodology of our work, and they blamed me for the results we had achieved, the results that had not matched the expectations of the management. I tried to stay calm and explain them that we agreed on the methodology together, and I also admitted that they might be right, and we might try a different approach next time, with the same target group. I did not go into an argument with them, and I did not take their accusations personally. Conflicts belong to every workplace, and I count with experiencing them here as well. – It’s my first job application, but I understand that people may argue with me, from both logical and illogical reasons. But I would do my best to build friendly relationships on the workplace, and I hope to help to minimize the number of conflicts we experience with the colleagues. – I am Mario, 25 years old, and I have just finished my Masters in Economy. I enjoy team work, and I am looking for my first job, ideally in a big company. I want to learn, and meet like-minded people in work. In my free time I like to run, read, and meet with friends. I try to have positive outlook of life, and take everything that comes my way as an opportunity to become a better person. – I am Michaela, and I have worked as a secretary before my maternity leave. Now, returning to work, I am looking for office manager position, or a similar job. I try my best to combine the role of a mother and the role of an employee, which is not always easy, but I enjoy the process. If I have some free time, I like to cook, read, and basically enjoy the time with my daughter. – My name is Ron, and I am a programmer. I love designing new games and I look for a job that will allow me to design them. I am creative, and I also like to draw. I have a family, my children attend college, and in my free time, which is typically only on weekends, I enjoy gardening and wandering in the nature. Though in my fifties, I still believe I have something to offer for my employer, and I constantly work on improving my programming skills. 2. Why did you apply for this job? Hint: Motivation of job applicants is one of the deciding factors in every interview. The HR managers try to understand your motives. Do you apply for a job just to earn money, or just because you have studied the same field? Do you apply because you need a job, or because you desire to have this one? Your goal is to convince them that you desire to have the job, and that you have a good reason for choosing the offer they advertise. Pre-interview research should help you to find a good reason. Think company culture, their vision and goals, the value they bring to their customers and business partners. Try to look for something that goes beyond your personal role in the company, something you can compliment. You should speak not only about your own preferences, but also about their company, and how you can help them to achieve their priorities. Show them that it makes sense to hire you. – I really like the job description and believe I can fit well here, and bring some value to your team of financial analysts. On the top of that, I have the right working experience for this role, and I would really enjoy working in an international environment. – Your store is just ten minute walk away from my apartment, and I shop here regularly. I like the way the employees approach customers, and I would be proud do be a member of this team. On the top of that, I like the vision of your company, the way this store is organized, and overall I have a good feeling about the place. – I am looking for my first job, and your offer stood out on the job board. Reading it, line after line, I felt that it was the perfect opportunity for me. On the top of that, few friends from college work here, and they have said only good things about the working environment. Secure checkout with PayPal (you can pay with debit/credit card), one time payment of $19.77, instant download, 60 days money back guarantee. No renewals, no upselling, no hidden fees. If you don’t like my Interview Success Package for any reason, or no reason at all, just let me know within 60 days and I will give you a full refund. Email me at matthew@interviewpenguin.com with your name and transaction details. No questions asked, just a full refund. There is nothing you can lose with your purchase. Ready to get the job of your dreams? Your interview does not have to be stressful, or difficult. You can be the one who interviews with confidence, and gives brilliant answers to all difficult questions. Download the Interview Success Package today, and ace your interview! P.S. If you are still not sure how this package will instantly show you how to ace your interview, or if you have any questions, send me an email to matthew[at]interviewpenguin[dot]com . I answer all messages within 24 hours. Thank you!